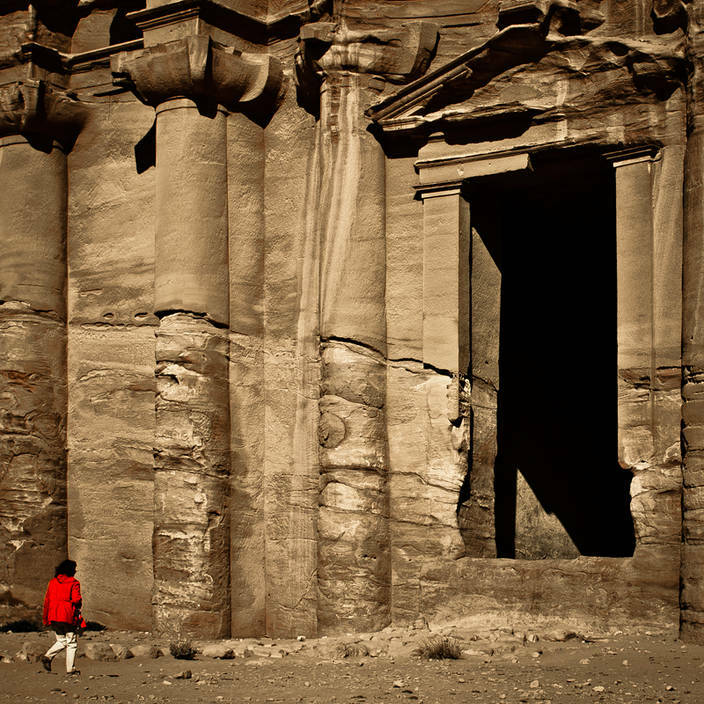 This is the Petra Monastery in Jordan. It is know as the rose city due to the colour of the rock. In 2008 it needed to be processed using HDR to get accepted by Shutterstock for Stock Photography. It is available for download here. This time I used standard tone adjustments in Camera RAW and a little split-toning to match the texture to this jungle temple. The RAW file developer in Photoshop has improved so much since this shot was taken it has made using HDR to extract detail redundant.